Heilbronn, 15th of November 2017. 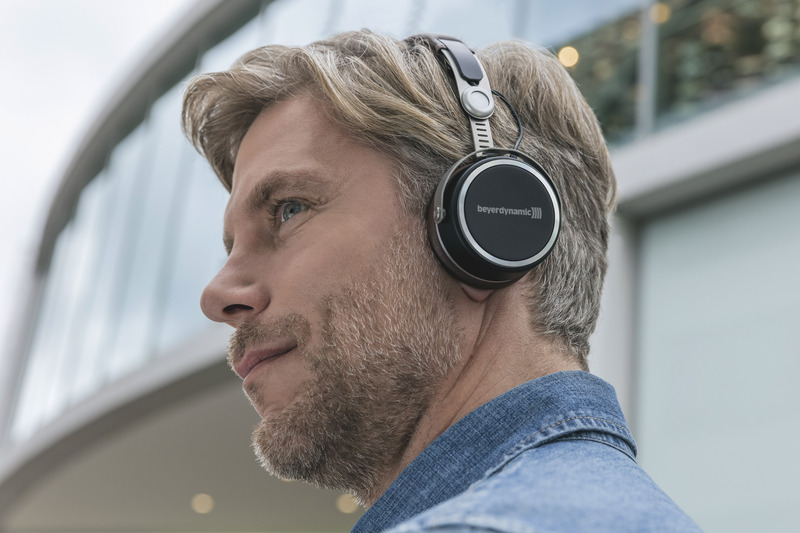 Highest praise for the beyerdynamic Aventho wireless: The Bluetooth headphones with the unique Mimi sound personalization technology were awarded with the 'CES 2018 Innovation Award' by an independent jury of the Consumer Electronics Show, the world's most important technology trade fair. The specialist panel honoured the innovative sound personalization of the headphones, created in cooperation with Mimi Hearing Technologies. The beyerdynamic MIY app allows the Bluetooth headphones to be tuned perfectly to the users hearing, offering a unique individual sound tuning for the best music experience. As the world's largest consumer electronics trade fair, CES in Las Vegas honours outstanding products in various categories every year. Technical highlights, which will be shown at the event in January 2018, will be featured in advance. The Innovation Awards are presented by a jury of independent industrial designers, engineers and journalists. The products are evaluated on the basis of criteria such as technology, aesthetics, design innovation, utility and uniqueness of the features. The beyerdynamic Aventho wireless ranked highly across the board and thus became one of the few selected products that are honoured with the Innovation Awards. 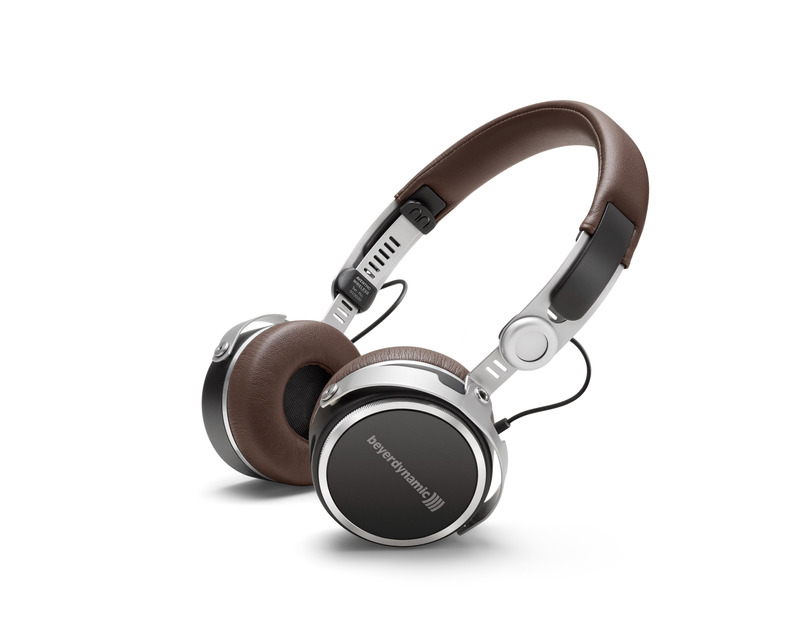 The Aventho wireless are closed-back, midsize headphones. They are the perfect match for music consumption on the move. Due to the aptX HD Bluetooth transmission the headphones receive the audio signal wirelessly in top quality. The new mobile high-end model also offers innovative handling: The right ear cup is designed as a touch controller. Fingertip gestures conveniently call up all functions. The absolute highlight is the individual sound personalization: Recent research results in audiology confirm that hearing is as different as the human being itself. In order to create a "tailor-made suit for your hearing" based on these scientific findings, beyerdynamic cooperated with Mimi Hearing Technologies when creating Aventho Wireless. For the first time, Mimi's sound personalization enables an individual hearing profile for the tuning of beyerdynamic headphones. The parameters determined by the soundcheck of the "Make it yours" app (MIY app) will be saved in the device itself. Combined with beyerdynamic Tesla technology, this results in unparalleled sound quality. The compact Tesla transducers with their powerful magnetic drive enable extremely high-resolution as well as transparent and detailed music reproduction. Never before did music sound so perfect. The Innovation Award comes with a number of benefits. 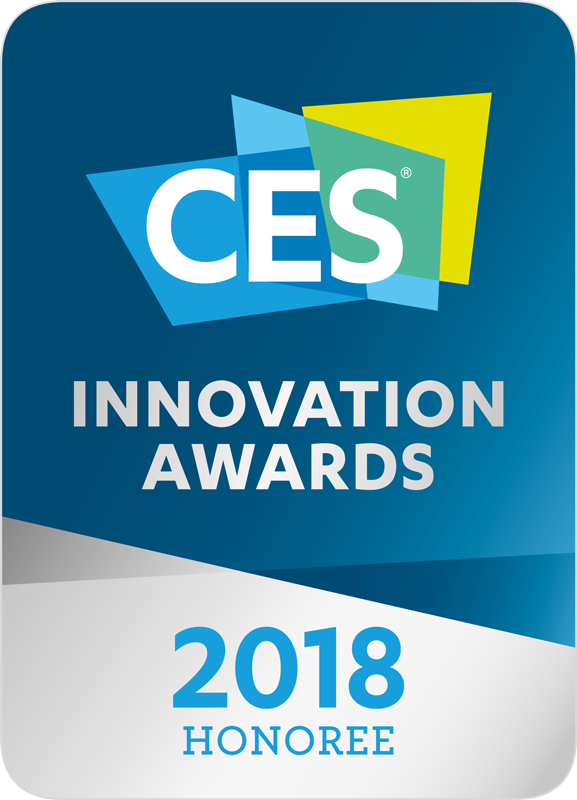 For example, the Aventho wireless will be exhibited together with the other award winners at the Innovation Showcase at CES 2018 (from 9th to 12th January 2018 in Las Vegas, Nevada). The Aventho wireless will be featured at the much-visited Innovation Awards Showcase in the Venetian Ballroom at CES Tech West. It is one of the most popular venues of the CES show. Following the CES 2018, the Innovation Awards Showcase will move on to events all over the world – of course accompanied by beyerdynamic Aventho wireless. 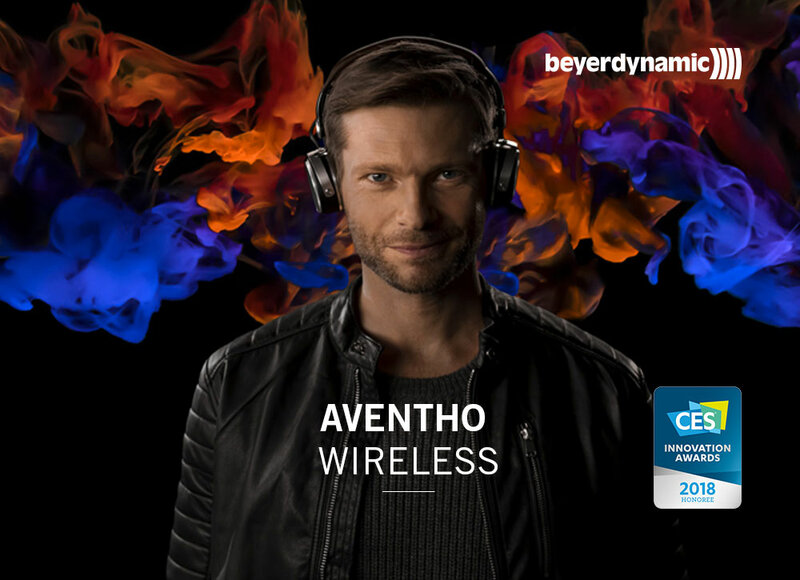 „We are incredibly proud to have received this Award for Aventho wireless," says Edgar van Velzen, Managing Director of beyerdynamic. „Of course, it is something completely different whether you speak for yourself as a manufacturer of innovations, or whether a superordinate organization such as CES does. We are delighted that the jury recognized the innovative power of Aventho wireless, because we are convinced that it opens a completely new chapter in the world of headphones."